I think a big part of the reason I adore kimonos so much, is how versatile they are. Whether you're rocking yours with shorts or a dress, they just work! This colorful one is my recent fav, and I wore it to dinner with a friend the other night. This outfit is made up of the most simple pieces ever, but the print + fringe add a punch of fun color + flair! On Wednesday evening I attended a fun happy hour event for local creative women at the Hotel Valley Ho, and was a lot of fun! I was happy to have an event to get dressed up for, because I was dying to wear this new dress hanging in my closet. I'm not one to purchase expensive garments, but when I spotted this baby I knew it was a piece that would be classic for many years to come! And its was on sale, so how could I turn it down? This vest is a piece I had eyed for years from a super rad online vintage shop. I was actually shocked it was still available, so I wanted to do something fun to show it off. I've been dressing a bit more girly as of late, so I wanted to get back in touch with my edgy roots and play around in the desert at sunset. 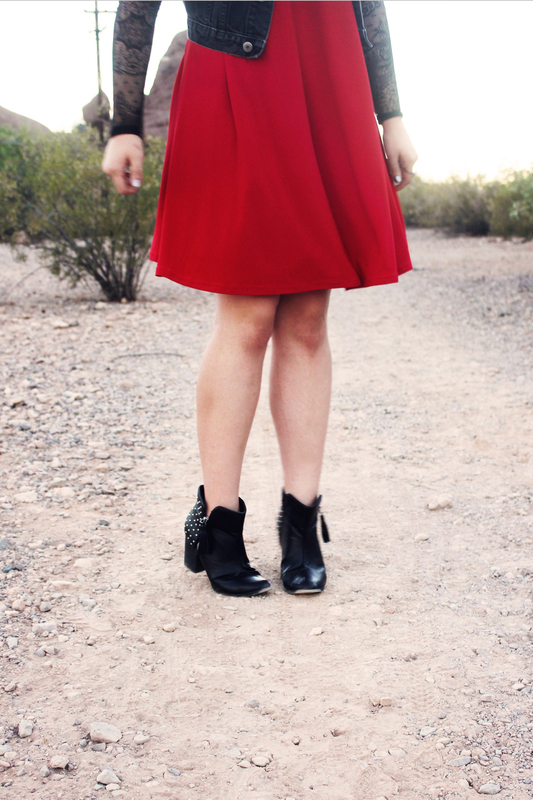 Slap on a red lip, throw on some jewels, and dance around amongst the cacti? Perfection. The back of this dress is equally as amazing as the rest of it. It was covered up with the vest, but I'll show it to you guys the next time I wear it in a future post! I bought this skirt in Copenhagen thinking I could wear it with tights and boots, but I only managed to do that once. I think this piece was destined to be worn in the desert! Yesterday I paired it with a basic white crop top, and piled on the jewels for some pop. 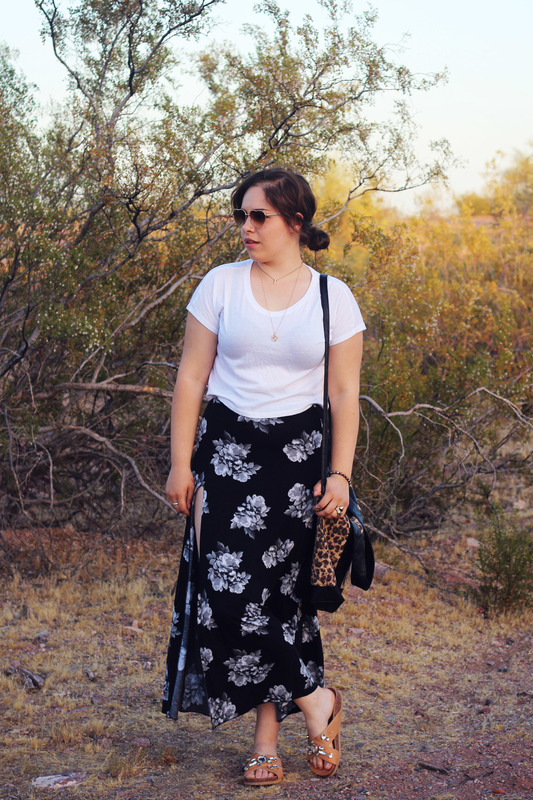 I know leopard is considered a neutral these days, but how do you guys feel about it paired with this skirt? I'm not sure if I'm loving the clash or not!